The Stix complies with the ACCC Safety Mandate. Stix is a clean burning interpretation of a classic campfire that is stylish enough to be used indoors and strong enough to withstand the elements outdoors. 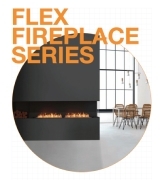 Made of stainless steel and available in either brushed stainless steel or powder-coated black steel finishes, the Stix has an ethanol burner at its core that burns a bright orange flame without producing any smoke, soot, or ash. Stix gives you all the benefits of a fire without any of the mess anytime, anywhere. 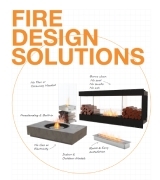 Contemporary stainless steel fire design that evokes the mood and magnetism of a traditional campfire. Fully portable with no need for a utility connection, effortlessly set up and easily repositioned, Stix's bright flame will keep you captivated as well as comfortable for over 8 hours. Clever combination of stainless steel sticks secured around an efficient 2.5L ethanol burner. Effortlessly set up and easily repositioned, its bright flame will keep you captivated. The Stix concept still guards to the traditional warmth of fire, but without the mess. Powered by clean-burning, environmentally-friendly bioethanol. 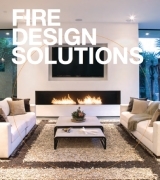 Winner of the Good Design Award 2011, Australian International Design Awards; DesignEx Best New Product 2011; USA’s 2011 IIDA/HD Award for Excellence. 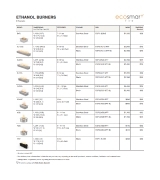 Powered by bioethanol, a readily available renewable energy, EcoSmart’s Glow outdoor fireplace creates cosy and inviting entertaining spaces year round.